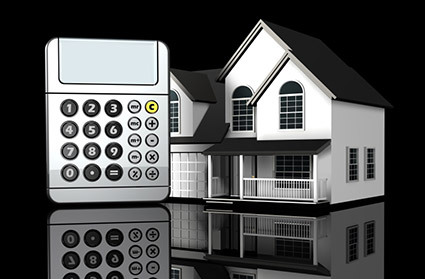 One of the most common questions our new home insurance clients have is how to accurately calculate the reconstruction cost for their home. This is a great question and one that needs to be properly addressed because over or under-insuring a home can be equally problematic for several reasons. Under-insuring a home can lead to a situation where a homeowner may have to cover the gap between the amount of insurance they have and actual reconstruction costs in the event of a total loss to their home. Conversely, a home that is over-insured provides little benefit to the client and leads to higher than necessary insurance costs. So, how is a home’s reconstruction cost accurately calculated to avoid either of these scenarios? Home reconstruction costs are calculated by conducting an extensive fact-finding questionnaire regarding most of a home’s features and matching these up with local construction labor and material costs. Fortunately, this task is greatly simplified by software companies such as Marshall & Swift, who specialize in crunching the data to come up with a figure that is accurate to within a few percent. The process is relatively straight forward for newer homes that are smaller and conform to standard construction techniques, but becomes increasingly complex for custom, high value homes. These homes typically require a close inspection by an insurance advisor and a much more comprehensive fact-finding questionnaire. In general, home reconstruction costs, (also known as coverage A on your California home insurance policy), will trend upward along with inflation over time. However, this trend does not always hold true. For the third quarter of 2010, most of our clients have experienced a reduced estimated reconstruction cost in the range of 1-3% for the areas of Sacramento, Folsom, El Dorado Hills, and Cameron Park. Also, it’s very important to realize that a home’s reconstruction cost has little to no correlation to its market value (which includes underlying land values) or fluctuations in the housing market. When working with your insurance advisor, be as detailed as possible regarding the features of your home because an under-insured home can have devastating consequences in the event of a severe loss. Recently, I have seen several cases with new clients where their home was insured for half its estimated reconstruction cost by their prior insurance company. I find this happens most often on newly purchased homes when an insured’s focus is on the excitement surrounding their new purchase, as opposed to the tedious details regarding their home insurance. With this in mind, if you have not updated your home insurance policy lately, it would be a great time to schedule an annual review with your insurance advisor. For a free online estimate of the reconstruction cost for your home, click here. You can also contact Schaedler Insurance and we would be happy to provide an estimate free of charge.